Don Bosco Workers, Inc. of New York to provide advocacy training for day laborers to give testimony and testimonials for legislation against wage theft practices. MACC, the Mexican American Catholic College of San Antonio, Texas to provide leadership and professional development training to participants in its US-Latin American Catholic Exchange Program. La Red de Educacion Popular, consisting of Religious of the Sacred Heart and collaborating organizations throughout Latin America, the Caribbean and North America in the design and implementation of a major conference entitled Migration, Immigration & Human Trafficking on the US-Mexico border in Alamo, Texas in April 2018. This event is also in collaboration with the Office of Justice, Peace & Integrity of Creation at the Stuart Center. ARISE a continued partnership with A Resource in Serving Equity, a non-profit deeply rooted in the border communities and working for the empowerment of all through a focus on women, children and youth. ARISE is a key partener in the design of the April conference. 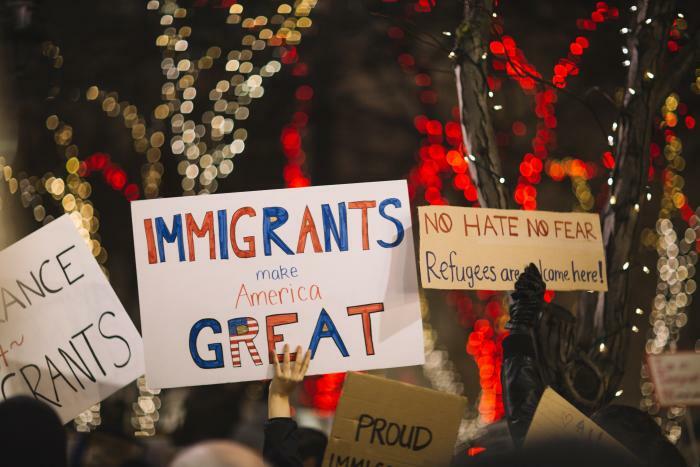 Click here to read the position statement of the Society of the Sacred Heart, United States-Canada Province on immigration.